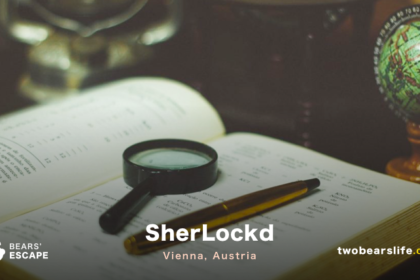 The location of Enigma Escape is just a short subway ride from the city centre – you will find it on the ground level between office and apartment buildings. 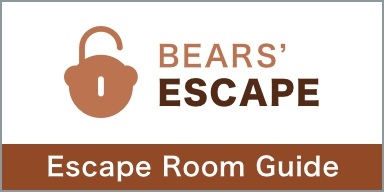 While booking, we were not sure about how scary The Killer room actually was, so we just went for the Breakout room and decided to wait with our decision if we want to do the second room. Once we finished the first room, we couldn’t stop and also did The Killer room, although Alex nearly quit during the first couple of minutes. More on that later. Your boss was recently sent to prison. With the help of the internal post officer, he sent you an important message. There is only a 1 hour window This game requires tactical teamwork, an empathic mind and to break him out. on-the-spot initiative. Will your team infiltrate Hornsey Prison and break out your boss before it’s too late? Since we took the earliest booking on a Monday morning, we were not surprised that we were the only clients on site. We were greeted by our nice and engaging game-master. She gave us quick instructions, we used the bathrooms and off we were to start the rooms. We got our story-intro inside of the first room of the game. Our mission was to break out our Gang-Boss from Prison and we had 60 minutes to do that. Once the clock started ticking, we started collecting items and got a good flow. A short tip: listen closely to the story intro. The game is well doable for a 2-person team, although we have to wonder how it goes for bigger groups, since most of the tasks and puzzles are rather linear. On the other hand, there is a lot of searching, collecting and task-full-filling involved, so people shouldn’t get bored – or they will, since some of those tasks seem like big time eaters, where you have to do a lot of stuff for very little reasoning behind it. In the end, the Breakout of Enigma Escape is pretty straight-forward and we (only) needed some help during the later portions of the game, where the solution to some puzzles got rather ambiguous. We made it out with 2,5 minutes left on the timer. Yeah. You have been invited to watch tonight’s premiere THE KILLER. It’s not a coincidence that you’re the only ones in the cinema. Please note that this game is of an eerie nature and is not for the This game requires keen eyes, logical thinking and an instinct for survival. faint-hearted. Will you discover the mystery behind Visionary Cinemas before time’s up? We were not sure if we really wanted to play the Killer. 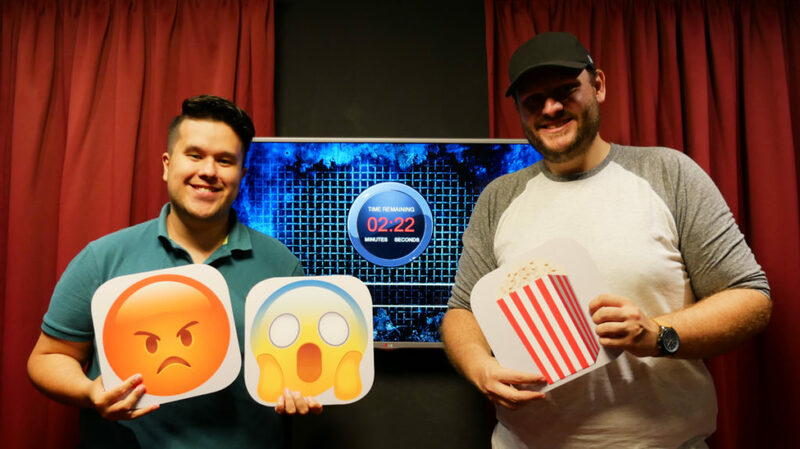 Alex is not a big fan of scary rooms – or rather: he really doesn’t like to be scared in Escape Rooms in general. And we know by now that the information game-masters give you beforehand is not really reliable. 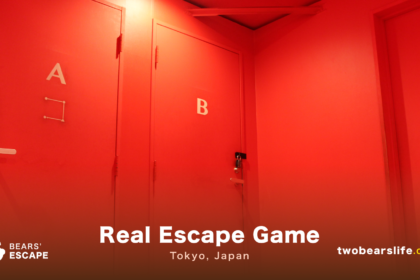 So after consulting some UK friends before and getting reassured that there are no actors in the room that will scare us as well as double checking with our very nice game-master more an annoying amount of times, Alex agreed to do the second room as well. We took a real quick break and off we went to a cinema setting for the second briefing. 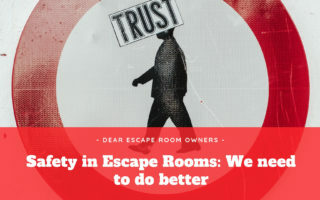 After watching a short video that told us the back story – which connects nicely to do Breakout room – we headed inside the room. A cell. A very very dark cell. The game-master promised Alex she would turn off the scary music if he wanted. A request he cashed in literally just seconds after the door closed behind us. The room design is well done – the scare factor works. It is dark and you feel like the Killer could return any second and catch you before you manage to escape. We generally liked this room better because the general idea and the room design was a little bit more interesting than the “office-like prison” of the first game. The puzzles were harder in this room as well – even though they also worked a lot with find&search the correct items at the right time. In general, the Killer by Enigma Escape is also a good game to play with 2 people. We do have the same concern as in the first one though: bigger groups might find some group-members standing around and not doing a lot. Let’s shoot straight: none of the rooms of Enigma Escape are spectacular or a “most do”, if you are only for a short time in London. On the other hand, we do appreciate that they do offer these rooms also for a 2-Person-Team. The Breakout Room looks rather stale, going mostly with standard-office settings for a prison. There are some nice moments in the game and we would be lying if we said that we didn’t have a good time. On the other hand, there are a lot of “tedious” tasks in there that seem like they just eat time, because you know what you have to do, but it is just a lot of work to finish it – especially in a smaller team. 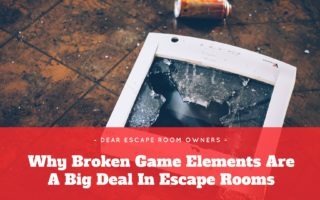 Our game-master was super nice and she was very generous with turning off the music in the Killer room – we probably would not have been able to play the room together otherwise. 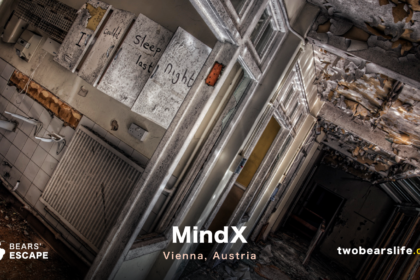 In general, it would be a good idea to offer players the choice of “scare level” in scary rooms – we have heard this is possible in other venues, it should become a “standard” in scary Escape Rooms. All in all, we did enjoy both games and most of the puzzles and tasks were solvable without having to ask for clues. Like we said, especially after having played Time Run the day before, the general production could be better. But we did have a good time in both rooms and never got stuck or frustrated. If you have to choose only one of their rooms, we did prefer The Keller quite a bit over The Breakout. Fun side fact: Enigma Escape actually started their room with a Kickstarter campaign and you will find a lot of names of the original backers on the wall of the lobby. 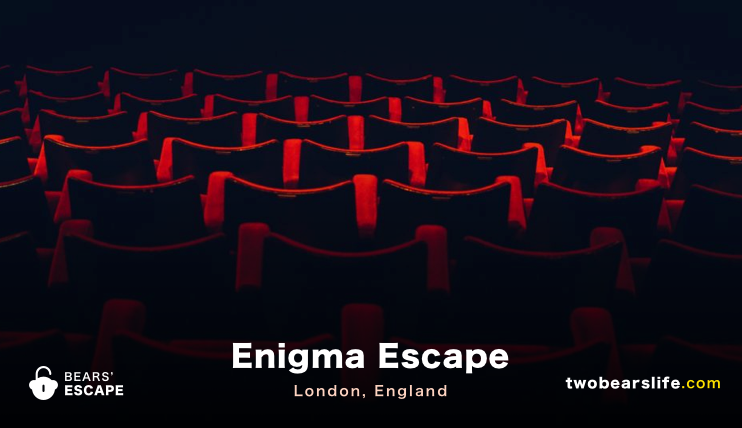 Enigma Escape is a good location for teams of just 2 people, since most of the venues in London just offer games for 3 and more. The two games they have – the Breakout and The Killer – are both fun, but the production values are not spectacular. 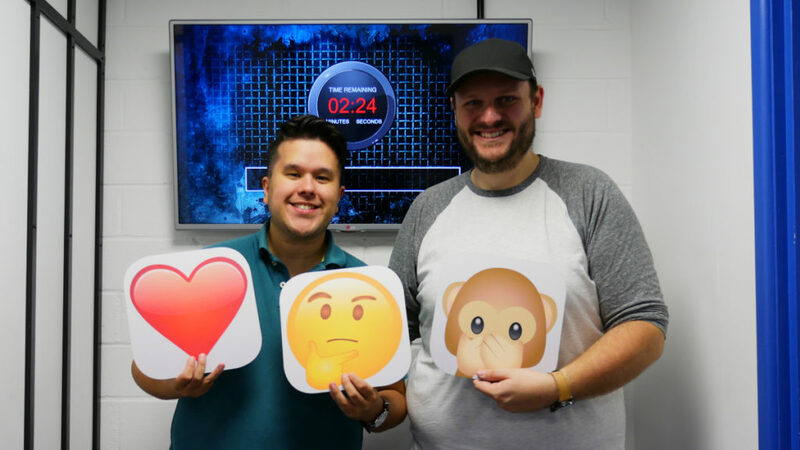 We did prefer the Killer, since its more creative than the “normal office setting” like you will find in the Breakout room. The Breakout itself is also fun, but there could be some improvements made to make it look more like an actual prison and replace some of the longer tasks with actual puzzles. 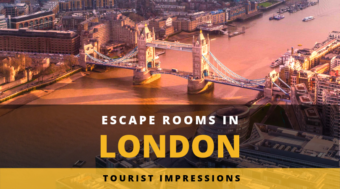 All in all, not an absolute “must do” in London, but a good alternative if you are a smaller team looking for Escape Rooms in London.